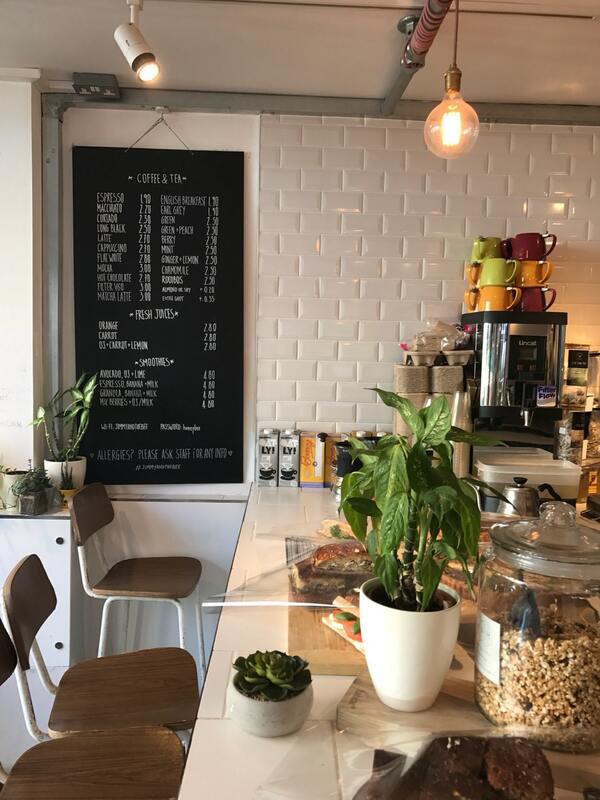 Jimmy and the Bee is a neighbourhood place serving great coffee, quality tea and real, flavoursome food in an easy, comfortable environment. Gather with friends or meet colleagues at Jimmy’s giant table. Get your morning dose with a smile, or to take time out for a pot of tea and a game of dominoes. You’ll get to know Jimmy’s good people, and maybe some neighbours too. Jimmy is choosey. Our menu combines delicious home-made food with carefully sourced specialties. Jimmy’s own good fare includes tempting and healthy breakfasts and lunch specials, warming and tasty soups, great salads, feta pancakes and our melting three cheese toasties ... oh yeah. Our carefully selected partners in food are Yeast for pastries, Hush Hush for borek, granola from Husk and Honey, and our bakers are the lovely team at Dusty Knuckle. Jimmy’s main blend of specialty coffee is roasted by the good and clever Alchemists. We also have regular guest blends from local roasteries. It’s great coffee, responsibly sourced. And we thank them for it. Our espresso coffees are served with a double shot as standard – that’s about 50mls of espresso in each drink. Just let us know if you like it differently. We have walls, and welcome local artists to hang their work ... or to create it on our white space. Jimmy is an intrepid tabby cat who lives on a street of terraced houses, backing on to another street of terraced houses. That’s a goldmine of lush gardens and kind neighbours ripe for Jimmy’s particular charm. The Bee is one of a hive. When The Bee and his hum swarmed into Jimmy’s favoured backyard – the one with the raised platform catching the afternoon sun - Jimmy’s lazy afternoons were never the same. Jimmy and the Bee are on an urban adventure ... more of that soon.